The awards were in recognition of Sturges Word’s direct mail, press kit, feature story and project-based work for its clients. In the direct mail category, Sturges Word won a gold PRISM for its work with Faultless Healthcare Linen (FHL), the leading healthcare linen-only laundry service provider in the Kansas City and St. Louis area. FHL engaged Sturges Word in 2016 to execute a marketing strategy that would deepen relationships with current customers and leads by creating an additional high-value touch point through direct email. Sturges Word created an email editorial calendar with healthcare linen-specific content relative to FHL’s role in cost management and compliance problem solving for its target audience. Email content focus is on high-value topics such as cost management, infection prevention, crisis preparedness, community engagement and more. Sturges Word continues to develop and launch emails once a month. After sending 15 emails over 18 months, 99.995 percent of email subscribers were retained. Sturges Word’s work with the Economic Development Corporation of Kansas City (EDCKC) earned the agency a gold PRISM in the project category. In 2017, EDCKC turned the attention of its efforts to communicate its strong performance as a sought-after source of expertise. Sturges Word worked with key organization leaders and stakeholders to craft a comprehensive corporate strategic communications plan to enable EDCKC to communicate the value of the organization through an annual report that portrayed the outcomes of the organization’s work in a way that made it accessible and interesting. To do so, Sturges Word wrote and designed the annual report using storytelling and graphical depictions of data to tell the organization’s story in a compelling way while meeting city obligations of data-based outcome reporting. The annual report clearly shares the outcomes of EDCKC’s work, illustrates the value of the organization and elevates its brand strengthening EDCKC’s position as a leader in economic development. For its work with Ted’s Café Escondido, an award-winning Mexican chain restaurant with locations throughout Oklahoma and three locations in Kansas City, Sturges Word received another gold PRISM in the press kit category. Ted’s engaged Sturges Word for a sprint campaign to help grow brand awareness around its unique offering of fresh, from-scratch Mexican food through various initiatives, including earned media, but the agency knew it had to get creative to produce an event that would potentially garner coverage. 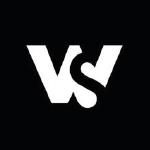 In its research Sturges Word learned that for students who rely on the free and reduced meal program provided by their school, school meals may be their only source of nutrition for the day, and that no programs are in place to assist these students over the three-week winter break. The beginning of winter break was just a month away and one of Ted’s most important audiences is families. The agency developed the idea to deliver meals from Teds’ kids menu to students in need. This would have the effect of attracting news coverage, building goodwill among a key audiences and bringing community attention to a lesser-known need. The work garnered approximately 902,000 media impressions total, something the client had not yet achieved in Kansas City. Finally, Sturges Word won a gold PRISM in the feature story category for its work with Terracon, an employee-owned consulting engineering firm. Terracon engaged Sturges Word Communications to identify relevant trade and specialty publications in which to pursue media placements, write and/or edit articles from Delivering Success, the company newsletter, that match the editorial focus of the identified publications and pitch the articles, thereby increasing awareness through gained media placements. To execute on the strategy, Sturges Word reviewed existing Delivering Success articles to gain a deep understanding of the service lines and markets that Terracon operates in and identified relevant trade publications that were a fit. The team studied trade media kits and editorial calendars for themes and opportunities to capitalize on. During the research phase of the engagement, the team learned that many of the bylined articles published in trade publications were educational in nature and generally shared tips with readers. The communications team decided to mold the existing Delivering Success articles into articles that fit this pattern and closely scanned media kits and editorial calendars for opportunities to pitch. The team exceeded the media placement goal, including one cover story. 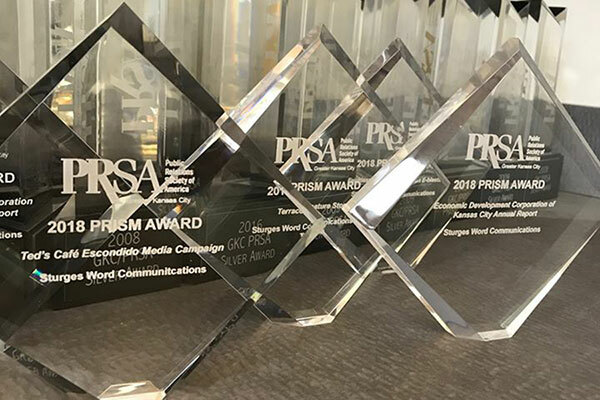 The awards, which serve as one of the communication industry’s most distinguished honors in Kansas City, showcase outstanding programs and materials created by public relations professionals who practice in the greater Kansas City area or have completed assignments for KC-based clients. The annual PRISM award ceremony was held on September 20, 2018 at Studio Dan Meiners in Kansas City, Missouri. The Greater Kansas City PRSA chapter is a community of public relations and communications professionals across the Kansas City area, from recent college graduates to leaders of some of the largest firms, agencies and non-profits. Its members represent nearly every practice area and professional and academic setting within the public relations field.